I’ve loved sport and being active for as long as I can possibly remember. I’ve been training and competing for over 30 years, competing at international level in athletics before sustaining a serious injury. I can genuinely say that my life passion is health and fitness. I always strive to help clients work towards their individual goals, and promote what I believe are the foundations to a happy and healthy life, good nutrition, sleep and being active. 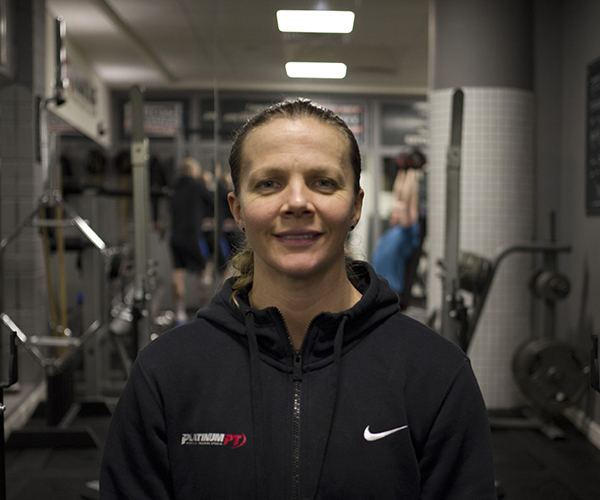 ‘When I started training with Lou just about a year ago, I had become very disillusioned with exercise. Having exercised my whole life, I was beginning to get injured every time I worked out and my favoured circuit classes were impossible to do. Within three months of training with Lou my mobility had massively improved. Each week she would concentrate on mobility exercises before working on my strength. I’m almost 40 years old but now feel I can keep on exercising into my next decade with renewed determination and most importantly enjoyment. Each week Lou pushes me to get the best out of myself in a very gentle but persuasive way and I can’t imagine training without her. She’s also as fit as anything and inspires me to keep going. I cannot recommend her enough‘. I train a minimum of 5 days per week with a mix up of Crossfit, gym based strength/weight training, mobility, body weight exercise, gymnastics and running.